These places were unplanned, un-choreographed by professionals who promised they could find just the right place for a big urn and bottomless cups. Such a place is CUPs in the Hollins Market-Roundhouse neighborhood. Conceived by Holly Gray, who lives in the neighborhood, CUPs offers training for young people looking for work experience and training in the food industry. CUPs turned out to be an oasis. It offered a break in the dreary pattern of boarded-up, falling down buildings and liquor stores that characterize too many Baltimore neighborhoods. And suddenly, overnight really, CUPs became a neighborhood center, a place to go for coffee of course, but also a place to sit and conjure with neighborhood and world problems. Almost immediately, the neighborhood saw something unexpected. Moreover, there was “a lack of opportunity for kids to get their first job, a lack of opportunity for kids to get a second chance,” she says. The seven-neighborhood Partnership’s director, Michael Seipp, says CUPs represents the essence of community. When there’s a problem, community leaders are often found huddled over coffee at CUPs looking for solutions. “When you look at CUPs on the corner of Arlington and Hollins streets you see everything the leaders of Pigtown, Union Square, Poppleton and Mt. Clare are trying to do,” he says rattling off the names of communities in the Southwest Partnership. 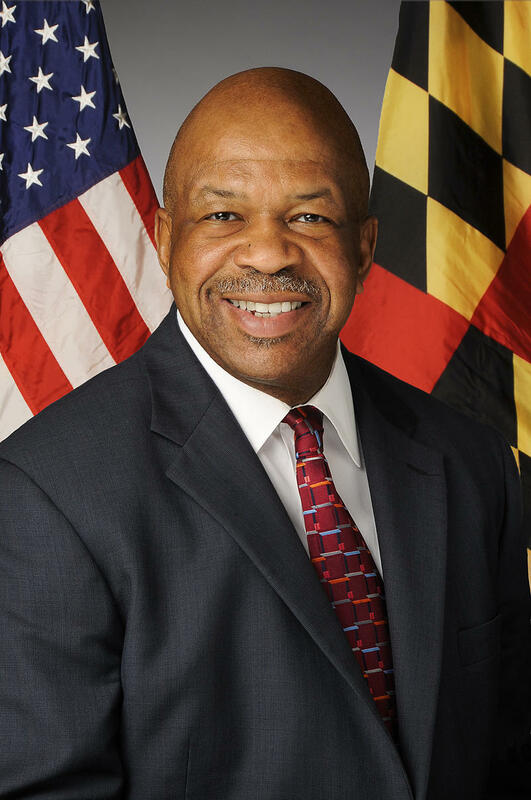 Another important member of the group, the University of Maryland, Baltimore. But suddenly, CUPs, itself, fell on hard times. A few months ago, it lost most of its funding. When fully operational, CUPs has six or so paid interns, a manager, an assistant manager and a cook. But the internship program has been suspended. It’s been hanging on -- barely. Then came a revved-up neighborhood. CUPs leaders convened an emergency fundraiser at Mi Ranchito, a nearby restaurant. Neighbors, joined by supporters from several other parts of the city, collected over $21,000 to buy time for “restructuring” and continue looking for long-term funding. A lot of young people – and older people – believe there has to be a way to keep CUPs running. Temika Walker’s mother, for example. She saw work underway for CUPs’ opening and urged Temika to apply. The young woman had been looking for work since graduating from the University of Maryland, Eastern Shore. Bright and out-going, Temika says potential employers told her she was over or under qualified. Temika likes working in her own neighborhood with young people she knows. She’s getting the experience she didn’t have and might move on, but may not. “I am on the lifetime plan. So wherever CUPs goes that’s where I’m going to be. … Holly told me I cannot go anywhere. I’m down with that,” she says. Holly Gray’s friend, Dan Morrison, president of the Hollins Market-Roundhouse neighborhood, calls Cups the neighorhood’s “go to” place. CUPs was behind a community picnic a day after the Freddie Gray uprising. 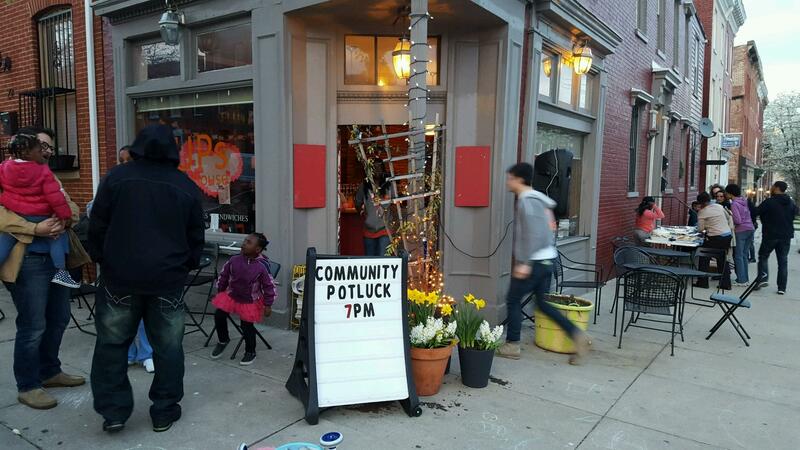 More than 100 people showed up to say: not all Baltimore is looting and burning. Later, during one of the big snows, CUPs helped provide lunch for school kids during when free lunches were not available. As it did for Temika, CUPs supplies a crucial intangible – social capitol. In Towson, a young person can call on a shopkeeper they or their parents know and get an after school or summer job. Not in Partnership neighborhoods, says Lisa Rawlings, director of workforce initiatives at the University of Maryland, Baltimore. She’s also a member of the CUPs board of directors. There are few small business providers of opportunity -- no hardware stores, or ice cream shop, or a coffee place – no inviting opportunity to start building experience. Lisa Rawlings, a member of the CUPs board of directors and a manpower specialist at the University of Maryland, Baltimore, says CUPs fills part of the social capitol gap. Rawlings says the Baltimore non-profit community, which might support programs like CUPs, is just now wrapping its mind around the importance of social capital. One of the South Partnership leaders, Bif Browning – speaking at the restaurant -- says he can make the case for CUPs. If success in the workplace is the goal, bosses want to consider young people with broad support networks like the Southwest Baltimore Partnership.